Slightly off topic, but not too much I hope. I am interested in astronomy. In the early 1960's I helped my dad build a 6-inch reflecting telescope, which I still have. At one point I knew many of the constellations and stars in them. I remember fewer names now because I've not studied it much lately, but I'm still pretty good at identifying winter sky constellations and most of the circumpolar stuff. Anyway, I can identify Mars, Jupiter, Venus, and Saturn (usually) when I see them. But I've never seen Mercury. I've looked often, but no luck. This might be the time to try. Mercury is bright, but it's always close to the sun, never rising or setting more than an hour or so before or after it. So, without both a long clear horizon and favorable celestial geometry, you can't see it; and I never have. I came across this post on the NASA.gov websitewhen another reader sent a post on a related topic. It's cloudy tonight, but I'm checking it out the next opportunity I get. This is from NASA.gov's website. It's not every day you get to see a shrinking planet. Today could be the day. Step outside this evening at sunset and look west toward the glow of the setting sun. As the sky fades to black, a bright planet will emerge. It's Mercury, first planet from the sun, also known as the "Incredible Shrinking Planet." Above: Mercury on Feb. 13, 2006. 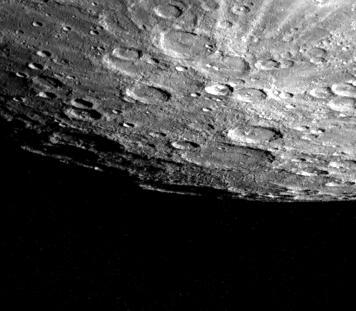 Mercury is the bright "star" just above the mountain ridge, rivaling the city lights. Credit: Jeffrey Beall. Friday, Feb. 24th, is the best day to look (sky map); that's the date of greatest elongation or separation from the sun. Other dates of note are Feb 28th (sky map) and March 1st (sky map) when the crescent moon glides by Mercury—very pretty. Readers are invited to respond with news of their own Mercury sitings . I’ve conducted a lot of experiments with microwave ovens – sparking green beans, foaming marshmallows, and measuring the speed of light (it’s possible it measure the speed of light with a microwave oven and a chocolate bar) and so forth. 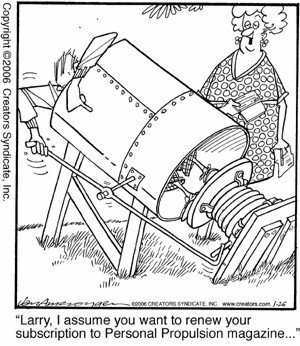 But this sounds better – a microwave ray gun that produces ball lightning. I just read about two scientists from the University of Tel Aviv who created ball lightning in their laboratories using parts from a regular microwave oven. They took the microwave oven’s 600 watt magnetron and turned it into a sort of ray gun that they used to directionally shoot microwaves. The scientists, Eli Jerby and Vladimir Dikhtyar, call the gun a "microwave drill." A phenomenon of fireball ejection from hot spots in solid materials(silicon, germanium, glass, ceramics, basalt, etc.) to the atmosphere is presented. The hot spot is created in the substrate material by the microwave-drill mechanism.The vaporized drop evolved from the hot spot is blown up, and forms a stable fireball buoyant in the air. The two scientists zapped glass, silicon and other stuff, melting it. When they shut it off and pulled it away, it dragged some of the superheated material along with it, “creating a fire column that then collapsed into a bright fireball that floated and bounced across the ceiling of the metal enclosure,” according to a Fox news report. "The fireball [looked] like a hot jellyfish, quivering and buoyant in the air," Jerby told the magazine LiveScience. "Our experiment confirms to some extent the theory that ball lightning originates from hot spots in the ground created by normal lightning," Apparently, ball lightning happens when lightning strikes the ground and zaps the minerals in the soil. The vaporized nanoparticles could then link together into chains and form a fluffy ball of silicon that floats on the wind. The particles react with oxygen in the air and release light as they burn. Readers are invited to comment with reports of their own microwave experiments. The cover of the March Popular Science features the headline "Where's my flying car?" Interesting. That's also how I start off the introductory chapter to my new book, Adventures from the Technology Underground. (See link at right for more info. )But, I'm not terribly surprised, since its a rather popular topic almost anybody who grew up watching the Jetsons. In my book, I look at how the quest to build a Flying Car exemplifies the ethos of the underground technology enthusiast. I interviewed Moller a few years ago at his office in Davis, CA. 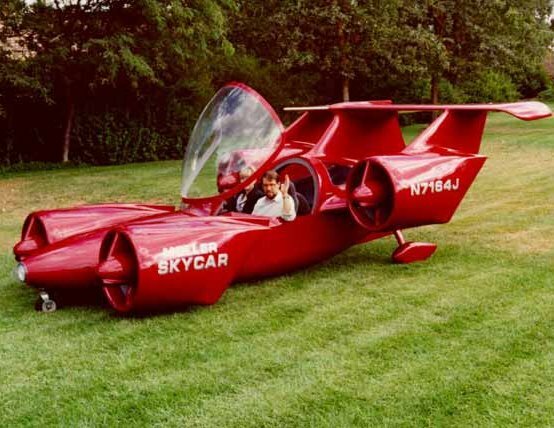 Lots of cool stuff: rotary engines galore, hovercraft, flying cars. I must say, he has a great looking shop and factory -- tooling, machinery, wind tunnel, the works. He's a pretty engaging guy. --seems like we've got the electronics and telecomm stuff down pat. But on the mechanical side of things, we're still waiting. 1. Machine that controls weather (remember the silver idodide experiments of the 1950's? NELSON : How many monkey butlers will there be? linked to global climate change. What's really weird and almost certainly untrue is the belief that people somewhere have inserted a tube into a cow's posterior in order to ignite the gas and in so doing, caused the cow to explode. The claim is that gas within a cow's intestines, once ignited, could cause a huge explosion resulting in gloppy shards of cow gut shrapnel . This is almost certainly untrue according to people who study such matters. Which brings up the question, who are people who study such matters? Maybe they are these people. I saw an ad for a simulation ride the other day. I think motion simulators showing ride films are cool. Bigger motion simulators are cooler. 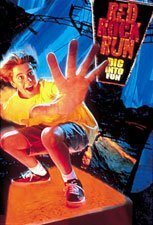 When my boys were little, we would make a point to go to the large, commerical, motion simulator thrill rides in amusement parks whenever a really good ride film came out. You've maybe seen some of these simulator ride films. They are large rooms with anywhere from two to two hundred seats, each seat attached to hydraulic or electric actuators. The means move in several planes of motion quickly. When combined with the giant screen and loud, surround-sound sound effects, the motion effects are nearly perfect. It's like being on on a moving airplane, race car, out of control mine cart, and so on. According to a fellow who seems to know a lot about building ride film simulators, the software that controls these things involves a concept called a "motion base." Better motion bases simulate more degrees of freedom during the ride film simulation. Degrees of freedom is tech-speak for how many directions the base can move, of a possible total of six. Most entertainment bases are "three-DOF" - that is, they can pitch, heave, and roll. Some also have surge and hence are four-DOF's . A very few are six-DOF's, or have a different combination of fewer than six DOF's. The movement and giant screen tricks the mind into thinking it is flying or riding along, when in reality it is pretty much stationary. The sensation is so realistic it cau.ses motion sickness in supceptable people (like me) But if that happens, one needs only to close their eyes to make the queeziness go away. Readers are invited to comment with their favorite motion simulator ride films. Operation Crossroads was an atmospheric nuclear weapon test series conducted in the summer of 1946 at Bikini Atoll in the Marshall Islands. The series consisted of two detonations, a low altitude test and a shallow water test. The devices, each with a yield of 21 kilotons, were named shots ABLE and BAKER. A planned third test, a deep underwater detonation, was canceled after the second test. There are about 50 paintings in the US Navy's archive. The whole collection is here. A QUEENSLAND man who twice threatened to shoot down a helicopter with a homemade bazooka and tomatoes fired from a spud gun has been sentenced to two years probation. Anthony Douglas Donohue, 35, today pleaded guilty in Southport Magistrates Court to two counts of threatening to endanger the safety of an aircraft. Joey Cheek, the newest American champion, politely apologized to the assembled media and said he'd have to skip the cute stories this time, the ones about growing from an inline-skating kid in North Carolina into a speedskating gold medalist on the widest, whitest ice in the world. "The potato gun story, huh?" Cheek said with a laugh. "Last time I'll tell it. You know, you can get pretty bored in speedskating training." 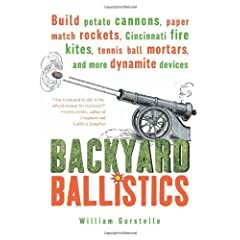 In his spare time ("you get bored during speedskating training") he learned to build an explosive-powered potato gun out of PVC pipe. You stuff a potato in one end, fill the other with hair spray, make a spark and, boom. "The potato shoots 300 yards," he smiled. The old record was 357 skydivers. The attempt was a part of Thailand's Royal Sky Celebration that notes the 60th anniversary of the reign of Thailand's King, Bhumibol Adulyadej. It took three tries. On the third attempt the team came together and completed the predetermined formation which was larger than the size of a football field and were stayed together for just over 4 seconds. In an earlier post, I brought up the idea of "the perfect home workshop." or as one clever person put it, "the GarageMahal." I believe that almost anything I could think of could be build in a shop like that. It's just a matter of picking up the machining skills necessary. Thanks to everyone for their excellent comments. I've summarized some of the best ideas below. 2. Another thing to consider: How heavy can you build the floor pads? My friend has a couple of bridgeports in his garage that have managed to sink his concrete slabs lower than the ones they are not resting on. 3. One thing you may VERY much like... a cutoff saw of some sort. 5. I cannot recommend enough a laser leveled concrete floor, which is then epoxy sealed. Smooth, level, and sealed. very important. 9. Mill: A Bridgeport is a wonderful machine. Given a choice, go for something other than the "M-head"--you want an R8 taper, which is what a lot of mill tooling is. You can get chucks to use with it (you don't *have* to use collets for drill bits). 11.Add a metal-cutting band saw (under $200) and a good ($20) blade for it. Sawing a length of 1" aluminum into 2" pieces gets old very quickly. 12.The 7x10 or 7x12 lathe is a great starter machine that might be worth considering. Buy one for $300, use it for a while, buy a bigger lathe and sell the starter machine. 13.Three phase is rather expensive to bring to a home shop. A converter is a much-less-expensive alternative. A static converter coupled with a 3-phase "idler" motor generates darn good 3-phase for home shop use. I remember doing something like this on a MUCH SMALLER SCALE in a high school chemistry class. As I recall, we filled a baggie or something with the gas used for bunsen burners. It made quite an explosion, but after reading this, I figure that was a bad thing to do. In any event, bigger is not always better. I wonder how big the balloon was that did this. As Mr. Wizard said, "kids, don't try this at home." A man from Sheridan is facing explosives charges after he accidentally blew up his own car with a gas-filled balloon he was taking to a Super Bowl party.The Arapahoe County Sheriff's Office found a suspicious-looking car Sunday afternoon behind the old Duggan's gas station in the 4500 block of South Santa Fe Drive frontage road. Passersby had called in to report some type of explosion or car accident.When a deputy arrived to check it out, he found a white car that showed obvious signs of an explosion. All the windows were blown out, the vehicle doors were bent towards the outside and the roof was pushed about a foot higher than normal.The deputy traced the license plate to a home in the 3600 block of South Grove Street in Sheridan. Sheridan officers talked to the people inside and a man and a woman admitted that they were in the car. They explained that they were taking a balloon to a Super Bowl party -- a balloon filled with acetylene, a very explosive gas used in welding -- so they could blow up the balloon while celebrating.However, on the drive, the balloon rolled across the back seat, possibly causing static electricity, and igniting the gas, causing it to explode.The couple said a passer-by gave them a ride home.Deputies called in an ambulance, who took the couple to Swedish Medical Center for possible shrapnel wounds and broken eardrums.Norman Frey, 46, faces a charge of possession, use, or removal of explosives or incendiary devices. He faces two to six years in prison. In an earlier post, I wrote about the US military's procedure for reporting incidents involving or potentially involving, nuclear weapons. This procedure is known as OPREP-3, and basically it spells out how nuke incidents are categorized, described, reported, and priortized. Here's some more on that topic. The highest priority incidentsare identified by the codeword "Pinnacle." Electronic messages starting with the Pinnacle flagword means what follows is hot stuff indeed. If the next word after Pinnacle is "Nucflash", look out, because World War III has started -- somebody used a nuke, on purpose, and the world has immediately and irrevocably changed. “FRONT BURNER” reports go out when something happens that has the potential of escalating into a situation such as armed attack on or harassment of US forces, but don’t currently involve the use of a nuke. “BROKEN ARROW” code designation signals that an accident involving nuclear weapons or nuclear components occurred, but this accident doesn’t create the immediate risk of nuclear war. Still, Broken Arrow could mean something as unpleasant as an accidental nuclear weapon detonation, the non-nuclear detonation or burning of a nuclear weapon, or as in the John Travolta movie of the same name (which I thought was a pretty good movie, despite what a lot of critics said,) jettisoning of a nuclear weapon from a damaged aircraft. "EMPTY QUIVER" is a reporting term to identify and report the seizure, theft, or loss of a U.S. nuclear weapon. “BENT SPEAR” and “FADED GIANT” events are incidents involving nuclear weapons or radiological contamination that are of significant interest but are not quite serious enough to qualify as a NUCFLASHes or Broken Arrows. In general, all of these situations from NUCFLASH to FADED GIANT are cloaked in secrecy and details normally do not circulate outside military channels. So, a logical question to ask is: how often are Pinnacle and other, lower priority alerts made? Unfortunately, the government does not report on this. Below, Slim Pickens in the film Dr. Strangelove, which is basically a movie about the consequences of a falsified Pinnacle Nucflash report. A Welsh motorcyclist died in a crash while riding his motorcycle at a speed in excess of 100mph. I believe his bike was a Suzuki GSX series crotch rocket. I am no authority on fast motorcycles but evidently these Suzukis are incredibly fast. According to experts, one particular model, the GSX1300R was designed to be the fastest sportbike on the market, designed and built specifically to conquer the previous top speed records set by all other production motorcycles. This model has a giant powerplant sized at 1298cc but also an extraordinarly aerodynamic profile. That's a real fast bike . Lee Beddis, 37, of Blaina, near Ebbw Vale, was killed when he hit a car on a 60mph road near Usk in Monmouthshire on his way to work, an inquest heard. "The sole reason for Mr Beddis's death was the outrageous speed at which he was travelling on a quiet country lane said police spokesperson Wendy James. In May 2002, he was banned from driving for a year after riding so fast he was "like a blur" to other motorists. A police camera recorded his speed as 155mph - at the time the highest-ever reading on a speed camera. He was riding along a 60mph road at the time. A farmer from Wiltshire has received an apology after he was accused of doing 85mph on his tractor in south Wales. Steve Crossman was sent a ticket after a speed camera on the A465 near Neath allegedly snapped him. But the six-year-old green-and-yellow tractor has a top speed of only 26mph and has never been to Wales. Mid and South Wales Safety Camera Partnership said it had misread a number plate and has apologised. The real speeding driver escaped a ticket. The first 49-year-old Mr Crossman knew of his tractor's alleged antics was when a letter arrived at home, Mill Farm in Horningsham near Warminster. A man pulls into town with a truckload of fish. The game warden sees him and asks him how he caught them. "Come on I'll show you," he says. The guy gets in the boat with the warden and proceeds to the middle of the lake. The warden asks "how do you catch fish with no pole?" The man opens box pulls out a stick of dynamite and lights it. The warden says "Hey that's illegal! I'm going to have to arrest you." The man hands the warden the sizzling dynamite and says you going to talk or fish? I live in Minnesota where a lot of people, including me, like to go fishing. There's an incredible amount of technology that seems to be involved in catching a 2 pound walleyed pike. I may be a luddite, but to me it's getting out of hand. Although Steve doesn't have one, other people use underwater television cameras and who knows what else. Furthermore, they wear polarized oakleys, space age quickdrying fabric vests, "fishing boots" and so on. I have a question about all this: Is there a backlash out there against all this technology for as simple an activity as trying to catch a fish? For example does anyone know if there's an association of "cane pole" fishermen and women? If I eschewed all this technology in favor fishing with a cane pole from a dock or rowboat, using a worm or minnow, how many less fish would I catch? Isn't there a diminishing return on using all this technology. I mean, it's just fishing. Also, are there similar examples of backlash against technology in other sports? For example, tennis players who use wooden racquets? Hockey players who play on out door rinks? Please, I'd like to hear about other examples or general thoughts about this if you've got them. From "The Local - Sweden's News in English"
A Falun resident who made a potato gun which packed more power than a revolver may have been delighted with his technical prowess. But now he has had his chips: he is facing legal action for weapons offences. The local newspaper Falu-Kuriren reported that two police units were called to a housing area one evening last August by concerned residents. Officers heard explosions and through a window of an apartment saw flames coming out of the end of a weapon. Within minutes they raided the house - and found a homemade potato cannon. The 'spud gun', as such devices are known, was confiscated along with two boxes of ammunition. Uncooked. The 25 year old man has confessed to making the gun. In July he had taken it to the Great Lake festival in Östersund but was refused entry. On Tuesday he appeared before magistrates for a good roasting at Falun district court. "Potato guns fall under the weapons licensing legislation," wrote the prosecutor in the court application. The Swedes ran some tests on that spud gun I see. But I bet those Swedish tests are pretty wimpy compared with the great Thompson-LaGarde Tests of 1904. Back then, the US Army wanted to know exactly how much stopping power a US military sidearm (e.g. the Browning Revolver) should produce. Tests were conducted in which several army officials paid a visit to the Chicago stockyards. There, Captain John T. Thompson of the Infantry and Major Louis Anatole LaGarde of the Army Medical staff tested different types of bullets (and the guns that shot them) then under consideration for military use. Each was aimed and fired at live cows, though the testing was not very consistent. Basically, Thompson and La Garde would shoot a cow, then see how long it took to die (such as 4 minutes). If death took too long, one of them would walk up and kill it with a hammer. Or, sometimes they simply kept shooting rounds at the beast until it expired. This evidently did not provide all the data necessary. The final test was to shoot at a hanging cadaver at various distances and rate the effect. The details of the test are creepy, morbid, and wonderfully fascinating, at least from some people's (okay, my own) perspectives. Anyway, if that Swede's spud gun is as powerful as a Browning revolver, that's bad news for cows. Details of the test are available here. Above, the Wright Brothers and Thomas Edison's workshops. What do you need to set up a perfect workshop? I make a lot of stuff, but I don't really have the kind of workshop I'd like. So, maybe it's time to bite the bullet and get one built. 6. MIG welder. If I was better at gas welding I wouldn't need this maybe. But I'm not and MIG welding is soooo much easier. I'm thinking, what, about $600 for this? Add a few handtools (plus stuff like an angle grinder, cordless drill, and so forth) , and I think I could build almost anything. To be really cool, technology must be different, quirky, non-corporate and non-mainstream. The more different it is the better I’d like it. There really should be a playful, humorous, tongue-in-cheek zaniness to it. Not everybody had to get the joke, but it had to be there somewhere. Otherwise its not weird, its just half assed crackpotism. If you talk a while with any aggregation of rocket builders, catapult enthusiasts, or high voltage experimenters, there’s a farily good chance that one or more of them will prove to be card carrying crackpots. Here's a rough transcription of a conversation I had with a guy who's spent some time thinking about crackpots. “But probably, the more interesting are the Physics Crackpots,” said my friend. “Have you ever tried to really tried to understand intricacies of modern physics? It’s too hard for most people to understand. There’s so many abstractions, so many vague and arcane definitions. Because modern physics is so complicated, it provides opportunities for taking parts of abstruse ideas and weaving them together to come up with semi-plausible sounding revolutionary physics ideas. When someone tells you about a ‘previously overlooked explanation for the origin of the universe’, there’s a good chance that the person talking is a crackpot. Physics Crackpots are terrific at selectively interpreting (or more likely simply perverting) existing theories. Just listen for the code: “free energy”, “antigravity”, “the zero point”, “dimensions beyond space and time”, and so on. The signal aspect of the conspiracy crackpot subtype is that a conspiracy exists, the purpose of which is to stop the dissemination of the crackpot’s theories and knowledge. Why has the physics crackpot been prevented from getting the funding that would allow the colonization of Mars? Why has the engineer crackpot been prevented from moving forward on her 150 mpg auto engine? It must be a conspiracy-- say the conspiracy crackpots – and probably involves the oil companies, the British royalty, Microsoft, and of course, the Jews. So, what's your favorite type of crackpot? Religious, Physics, Engineer, or Conspiracy? Or perhaps, some other genre? The new copy of Make Magazine just arrived in the mail. I admit I am favorably disposed towards the magazine because I write for them, but the latest issue really is fabulous. O'Reilly Press (of computer book fame) publishes Make. They seem to be blowing the doors out in terms of subscriptions. Mark of Boingboing fame is the editor in chief of Make. I can't figure out how this guy can do so many things at once. In a season 2 episode of the Simpsons, Homer watches a wrestling match on TV at Moe’s while the Simpson children watch the same at home. During the wrestling match, a commercial runs for a Monster Truck Rally, which features "Truckasaurus," a colossal, fire-breathing metal dinosaur that devours cars. The commercial voice over:"One night only…one night only…! If you miss this, you'd better be dead...or in jail!" Homer Simpson, guided by an primitive, overpowering force immediately hops into his car and rushes home, where son Bart has undergone the same experience. They run towards each other and embrace, and shout as one, "Truck-a-saurus!" I met Doug Malewicki a couple of years ago at his southern California home. 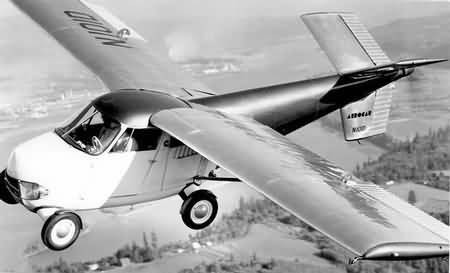 He is president of Aerovisions, Inc, which is involved in a lot of good stuff. I got the impression that Doug is an "out there" visionary with a tinkerer’s pedigree. His list of accomplishments put him in the top rank of technical self expressives. He’s designed a rocket engines, built a working rocket belt, worked on personal submarines, and he’s one of the men who designed Evel Knievel’s “Sky Cycle X1” rocket car, which tried, but failed to jump the Snake River Canyon back in 1974 in the world’s most widely viewed daredevil stunt. I think, though, the creation that he’ll probably be best remembered for is “Robosaurus." the inspiration for Truckasaurus. Robo is a 40 foot tall, twenty ton car eating robot that rips old autos in half in its huge hydraulically powered maw to please crowds at monster truck rallies and tractor pulls. Each year, Robosauraus travels the country, thrilling the spectators at air shows, car shows, festivals and sporting events, just about any event where a 60,000 pound metal eating dinosaur would be welcomed. Here's the (I think) 2006 Robosaurus schedule. If you go or have gone previously, event descriptions in the form of comments are welcome. A car destroying robot is a fine fitting alter ego for Doug who believes fervently in a car free or at least, a car de-emphasized world, one where personal, computerized, lightweight, ubiquitous public transportation is so well designed that driving seems like an idea for losers. Trebuchets and other catapults - they are in vogue. Has anyone else noticed a lot of movies with trebuchets and other catapults in them? I sure have. For instance, they were the special-effects stars in the Lord of the Rings trilogy, particularly, the Return of the King. They've been on TV as well: Fox Sports, the Simpsons, Northern Exposure, PBS Nova, Warner Brother's cartoons and probably many others. Here's my list, admittedly incomplete. If you've got more, send 'em to me. I built a fairly large and historically accurate trebuchet a couple of years ago. I named it Ludgar, the Warwolf, after the huge trebuchet built by Edward I of England in 1304. Ludgar was really big, accounts say that Edward cut down an entire forest to obtain enough wood. For those interested in catapults, here's a couple of links. First, visit my building-a-catapult site and you can see the construction of my trebuchet, step by step right here. To build your own model catapults, trebuchets, ballistas, onagers, petraries, espringales, blide, and rock slingers, check out my book The Art of the Catapult. Timeline was a so so movie but the trebuchet is wonderful. Kingdom of Heaven and Gladiator have excellent battle sequences with catapults. The LOTR movies have well done CGI trebuchets. If you know of others please comment! It's the stuff of Hollywood movies. Is there anything as frightening as being chased by a really big, powerful, diesel powered machine on a rampage? Mar 21 2004, 10:25 WARSAW (Reuters) - A Polish Benedictine nun is facing jail for driving a tractor into a car while drunk outside her convent in southwestern Poland, police said on Friday. The 45-year-old nun will be charged with drunk-driving and causing an accident, which carries a prison sentence of up to two years, Dariusz Waluch, police spokesman in the southwestern Polish town of Dzierzoniow, told local news agency PAP. He said the nun was 17 times over the country's legal alcohol limit for driving. More on this inebriated churchwoman later. 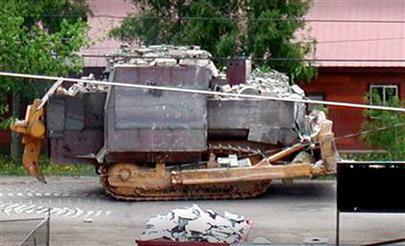 In 2005, Marvin Heemeyer modified a bulldozer into "the killdozer" by attaching concrete block and armor plates to a Komatsu D335A and setting out on a rampage. He knocked down several buildings in Granby, CO, while shooting a hunting rifle from the armored cab, before fatally shooting himself. Reportedly, Heemeyer was upset by something the city government did and went out of control. No one but Heemeyer was killed in the incident. Colorado must be the place for such occurances. Back in 1998, Thomas Leask fatally shot a man and then took a large piece of road construction equipment on a demolition spree. Leask drove the stolen military surplus front-end loader into the Alma, Colorado's water treatment plant knocking it out of service He also rammed into town hall, a fire station and the Post Office; causing holes that measured 10 feet high and 15 feet wide. Police took him into custody when he left the loader. In 1995, methamphetamine abuser Shawn Nelson stole a tank (a M-60A3, a 31-foot-long vehicle capable of speeds up to 30 miles per hour. It weighs 57.3 tons when fully loaded for combat and normally carries a 105 mm gun and machine guns) from a National Guard armory and rolled through San Diego, leaving a wake of smashed vehicles, crunched light poles and geysering fire hydrants. The rampage ended when the tank got stuck on a concrete freeway divider and a police officer popped open the door and shot Nelson dead. Thu Jan 12, 2006 11:49 AM ET WARSAW (AFP) - A Polish nun who caused two accidents while driving under the influence of alcohol informed on a police officer who asked for a bribe to cover up her mishaps. The 35-year-old policeman has been accused of corruption and faces a possible jail sentence of up to eight years, said Ewa Weglarowicz-Makowska, spokeswoman for the state prosecutor's office in Jelenia Gora, southwest Poland. The Benedictine nun caused two accidents, the first in 2004, when driving a tractor towing a snowplough, she hit a car parked at the entrance of her convent in the southwestern town of Krzeszow. A year later, her car ended up in a ditch after she drove at high speed. Anxious to avoid scandal and particularly worried that her convent would find out, the nun went for help to a friend who was a police officer. The policeman promised her he would make sure no one found out -- in return for a payment of 3,000 zlotys (790 euros, 960 dollars) Weglarowicz-Makowska said. "When the policeman demanded another payment of 3,000 zlotys to keep the second accident under wraps, she decided to inform on him," the spokeswoman added.